Working with clay has been closely associated with me at almost every major stages of my life. I have been played with clay ,since I was a child. 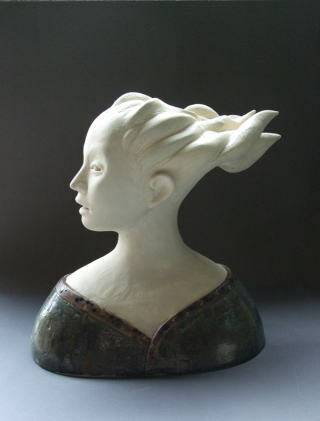 My techniques were developed from learning under a traditional Japanese ceramics master for five years .However my style has evolved and has been affected by living in different countries and encountering different cultures.Every new confrontation, every new challenge in my life have thus been translated through my medium of clay. My intention is to attract people to touch (not only look ) and interact with my work, and in return I want my ceramics to connect the people together. I hope my art can, even for a slight moment, inspire feelings of delight in people.